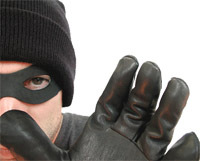 Identity theft – or perhaps more accurately, identity fraud – occurs when someone uses your personal information, your Social Security Number (SSN) or birth date, for example, to pose as you and then apply for credit cards and loans, open bank accounts to write bad checks, redirect mail, establish cell phone service, rent vehicles, equipment or accommodations, and to get new government documents such as driver’s licenses and SSN cards. The impact on victims can be devastating. They can be left on the hook for debts that are not theirs. They often wind up spending seemingly endless hours trying to clear their good names. You can, however, help protect yourself from unscrupulous criminals. Incorporating the following tips into your life doesn’t take long, but it will significantly lessen the chances that your personal information winds up in the wrong hands. If you can, use a locked mailbox or one with a drop slot so no one can steal your mail. If you use a regular box, pick up your mail as promptly as possible after it is delivered. If you are going to be away from home, arrange for a trusted neighbor to pick up your mail or ask your Post Office to hold it while you’re gone. If someone calls offering an ‘exceptional offer’ or to conduct a survey, do not disclose your personal information. Reputable firms never ask for personal information without significant safeguards. Teach your children about the risks of identity theft and advise them not to answer any questions from strangers over the telephone. Encourage them to tell you when they receive a suspicious call. Limit the contents in your wallet to only the necessities. Leave your social security number (SSN) card, passport and birth certificate in a safe place, such as a locked cabinet at home or a safety deposit box at the bank. Protect your computer by using a firewall, anti-virus & anti-malware software & other security measures. Set your security software, operating system & browser to update automatically. Set your browser’s security settings to medium or higher. Use anti-malware software, as most anti-virus software has little to no protection against malware. Do not visit un-trusted websites. Always check security warning issued by Google, your web browser or your antivirus program before visiting a site. Never click "Agree" or "OK" to close a window. Instead, click the red "x" in the corner of the window or press Alt + F4 on your keyboard to close a window. Avoid downloading & installing anything you do not understand or trust, no matter how tempting. Don't blindly accept a disc or flash drive without scanning it first with security software. Avoid illegal file-sharing services. There is little quality control in the world of illegal software & it is easy for an attacker to name a piece of malware after a popular movie, album, or program to tempt you into downloading it. Your bills and account statements don’t arrive when they are supposed to. Collection agencies or creditors call about accounts you don’t have or bills that you have already paid. Unexplained charges appear on your credit card. Credit cards arrive that you did not sign up for. Your banking statements show withdrawals or other transactions you didn’t make. You are denied credit or receive particularly poor terms -- for no apparent reason. Your credit report shows information that doesn't make sense or debts that are not yours. A credit-granting institution informs you that you have been approved or denied credit you have not applied for. Local police. Ask them to take an Identity Theft Report and ask for a copy so that you can provide it to the organizations that you will have to contact later. File a complaint with the Federal Trade Commission. Call 1-877-ID-THEFT. Every organization, such as a credit card company, where credit may have been fraudulently obtained in your name. Provide details of what happened, ask them to investigate and take appropriate actions such as closing accounts or cancelling cards. Major credit reporting agencies. Ask for a copy of your credit report and place a fraud alert on your report, which will advise creditors to contact you before opening or changing accounts. Any government offices that issued any documents stolen or misused as part of the identity fraud. Keep a detailed log of who you have called and what was said and document any expenses you incur as you clear your name and re-establish your credit. Get new bank machine and calling cards with new passwords or personal identification numbers (PINs). Get a new driver’s license. Tell your telephone, cable and utility companies that someone using your name could try to open new accounts fraudulently. Be cautious about using "credit-repair" companies. There is usually nothing they can do, and some have been known to propose a solution – establishing credit under a new identity – that is itself fraudulent. Your financial institution has taken strong measures to ensure the security and safety of your account and its overall online banking system. By staying alert to potential security threats and keeping in mind the suggestions listed above, you can help us keep online banking extremely safe and secure. Follow the good practices and use the knowledge we've provided here, and you will be much more prepared to enjoy the conveniences of online services with peace of mind! These helpful tips are provided by InfoSight Inc, an information security consultancy working to help ensure the privacy and security of your corporate, personal and financial information.